I won’t lie to you, whenever my timeline fills up with negative articles about new technology from people who haven’t even touched it, I die a little inside. I get that the sports team you’ve chosen to support didn’t release it. I get that all other sports teams are not as good as yours. I get that you view everything your sports team does in a positive light, and everything the opposing teams do in a negative light…but you know these aren’t sports teams right? They are companies. I should prefix what I’m about to say with the fact that I had a Pebble before this. To me the Pebble was extremely ugly, but the utility of it made me happy to wear it all the same. I was able to see who just texted me without pulling my phone out of my pocket, and do things like control my podcast playback without touching my phone. 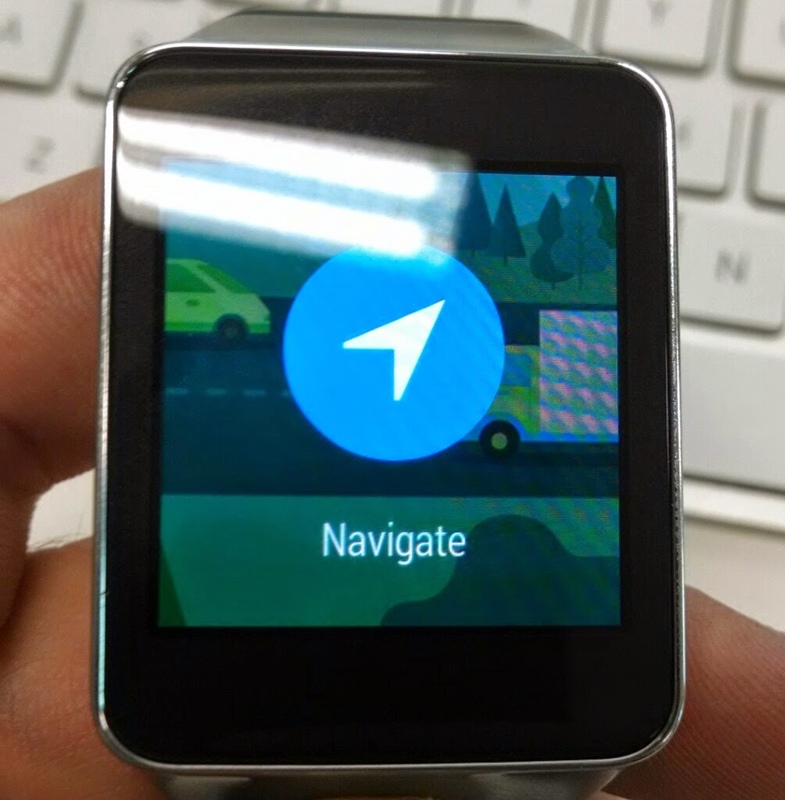 Android Wear takes this to the next level. When paired with my Android phone it shows me cards from apps that are currently running, as well as things it thinks I need to know about. It’s basically like Google Now for your wrist, with the added benefit of being able to get notifications from your phone. I’ve seen people complaining that all this does is turn your wrist into a buzzing, annoying mess. These people clearly either haven’t tried one, or didn’t bother to spend 5 minutes setting the watch up. If you buy an iPhone today, install 100 apps, and say yes to every notification you possible can your phone will vibrate all day every day. This isn’t a mistake on Apple’s part. Their phone is not a huge pile of fail. It’s why Apple gives you the choice about which notifications you do and don’t want. 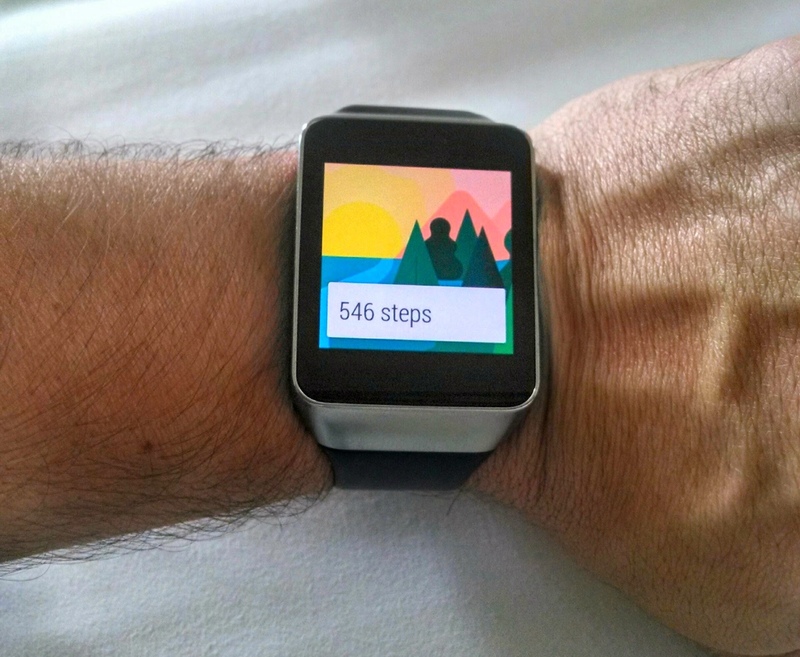 Android Wear is no different. By default any notifications that appears on your phone, appear also on your watch. For me this is perfect, I’ve already configured my phone to only show notifications for things I deem important. This means that during a typical day I glance at my watch maybe 10 times a day. I can see instantly why the phone in my pocket vibrated and choose whether or not I need to do anything about it. 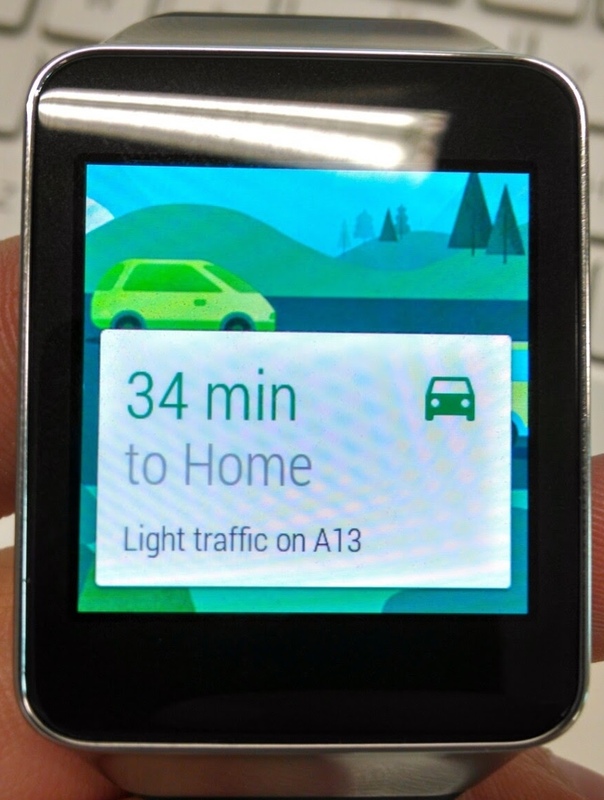 This is the promise of Android Wear, it liberates me from having to interact with my phone at all in most cases. If I had wanted to, I could also have configured an even smaller subset of notifications, because the Android Wear app on your phone lets you choose additional apps to ignore notifications for. The watch also tracks my step count, and can read my heart beat. The step count seems fairly accurate and is a handy, interesting thing to know. The heart beat doesn’t really excite me (har har) at all, but it’s there and works. You can respond to text messages by voice, and being Google’s implementation of voice recognition it works amazingly well. Personally I’m not comfortable talking to a watch in public, so I use it in a much more passive way. My pocket vibrates and I look at my watch, it’s a text from my wife. Later when I sit down I respond to it. My pocket vibrates and this time it’s a Twitter notification, so I just swipe once to dismiss it. My phone also clears the notification, since it knows I’ve dealt with it on my watch. I’ve found that Google Now is insanely good at predicting the kinds of things you’d like to see when you’re visiting somewhere. It shows you the time back home, information about your flights and hotel and local attractions. It seems to know with eery accuracy when you’d like to know these things. For example on my last day at I/O it knew that I was flying out at 9.30pm, but checking out at 10am, so it suggested movie times at a local cinema to me. All of this is passively listed on the watch and is there if you want to interact with it. It doesn’t for example buzz when new cards appear, they just happen to be there when you glance. At home in a small town like Adelaide Australia these are slightly less useful, though it is still handy to know about traffic problems since I have the choice of 3 different routes back home. Those hoping for a revolution might be disappointed, this feels like an evolution between Pebble and Android. For smart watch fans like me, this is a great thing. Google have the best smart watch available and it’s a huge leap over the Pebble I wore before it. Perhaps Apple will deliver a magical fairy watch full of unicorns later this year, but as my mate Grubes loves to point out, you shouldn’t ever review a shipping product against an unreleased one. For now Android Wear is so good it brings me yet again back to using the Moto X as my main phone.